Deciding you want a website for your business is just the beginning. There’s a lot to consider and many decisions to make, but the first, and probably biggest of them all, is what domain name to choose. Your domain name is the address people will use to find and access your site, so it’s vital that the name you choose enables potential visitors to do both. If you already have an established business and you’re taking it online for the first time, then you’ll want a domain name that’s aligned with your business name; or you could be starting a brand new online business, in which case the web name and your business name is likely to be one and the same. Either way, no two domain names can be the same. You have to find and register a name that hasn’t already been taken by someone else. This can be tricky – especially if you have quite a common business – such as local dog walking, mobile hairdressing or personal tutoring perhaps. So how do you go about deciding what your domain name should be? Here a few of the main points to be thinking of. If you already have a business, hopefully you’ve already been through this process and you have a great brand identity that you can easily transfer to your online offering. If you’re starting an online venture, you want something that sounds like a brand straight away. Think Google, Amazon, Netflix and You Tube. Although it can be advisable to give some clue as to what your business is about in the domain name, this isn’t the be all and end all, as long as you have something catchy and distinctive. If you want your brand and domain to stick, you want it to be memorable and pronounceable. If you try and be too clever with a long, convoluted name, chances are people might struggle to type it into search engines and therefore won’t find you. There’s a fine line between creating an identifiable brand, coming up with something short and snappy – and being easy to spell. For example, you might want to change a ‘ck’ for an ‘x’, as with Netflix, but you don’t want to make it too difficult for people to spell, otherwise they won’t find you. If possible, avoid using hyphens. Again, they can be a cause for typos and can make your domain name harder to sound out. Your domain name should roll off the tongue and a hyphen can trip that up. You might be tempted to add a hyphen if your preferred choice of domain name is already taken, but you then run the risk of people forgetting the hyphen and ending up at the rival site anyway. There are many extensions, or TLDs, available for your domain name, such as .com, .co.uk, .net, .org, .blog and so on. However, in the minds of most UK based internet surfers, .co.uk is the most obvious and most recognisable extension. That’s not to say you shouldn’t choose another if your preferred extension is not available, but then without choosing a completely different domain name to a rival site, you again run the risk of people ending up with your competitors instead. Or you might want to choose a suffix that relates to your local area, such as .London, if you are focussed particularly in one geographical area. If you’re still struggling, there are some domain name generating tools out there which might help. Try testing ideas out on people first to see if something makes sense. You then need to make sure you’re not infringing on any existing trademarks. If you’re not sure, we can help you select and register an available domain name. Once you have your chosen name, you might even want to buy the most obvious alternative extensions, just to stop anyone else from setting up a very similar rival site and benefitting from your traffic. 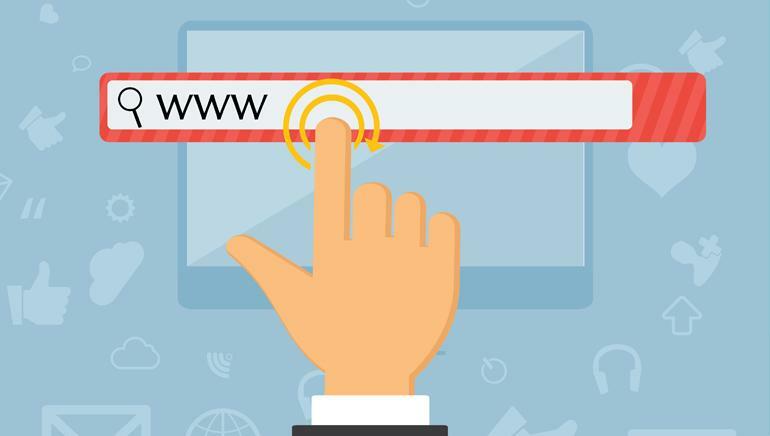 Hopefully this article has given you some food for thought, but please do get in touch if you would like more help or advice when it comes to registering a domain name for your website.